Dec. 27th marked the first anniversary of the Israeli attack and invasion of the Gaza Strip. And although the Israeli tanks have left, the complete closure of the borders continues. 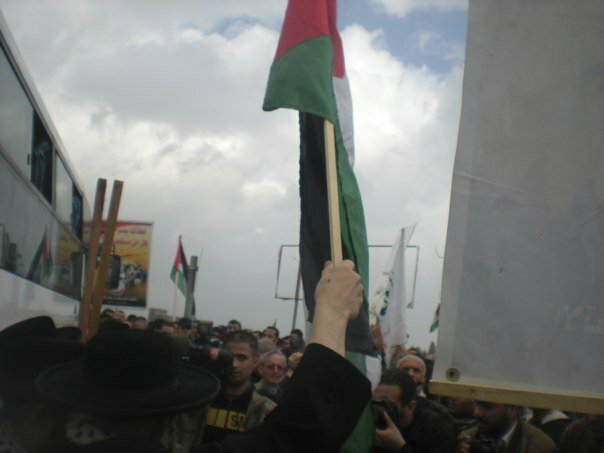 The Gaza Freedom March, organized by Code Pink, was an effort to show the residents of Gaza that the international community of citizens has not forgotten them, and as well a worldwide call of attention to the ongoing humanitarian crisis. In a controversial decision, the Egyptian government allowed only 100 of the nearly 1,400 participants in the March to cross the border into Gaza. While the general goals of the Gaza Freedom March were ultimately not met, Egyptian complicity with the Israeli blockade of Gaza was highlighted, especially in the Arabic-language press. The plight of the Palestinians in the world’s largest open air prison was kept in the headlines around the world on the anniversary of Israel’s brutal assault on the territory. On Tuesday we’ll speak with Indypendent writer Alex Kane, one of the 100 to get into Gaza, and about his experiences in the march and in Gaza in general. everyone should listen to this broadcast. it’s not every day you get to hear the first hand experiences of someone who was present and involved in something like this…and he’s an approachable, friendly person too! salut alex kane!